As you probably know, most people find companies through search engines such as Google, Bing, and Yahoo. Most customers only search through the first or second page of results for any specific search term. The good news is that getting listed on those engines is completely free. The bad news is that that means everyone is competing for those top ten to twenty spots for any given search term. Search engine optimization (or SEO) is a complex and constantly changing set of techniques which are designed, but not guaranteed, to get your web pages into those lucrative top 20 listings. All of our websites are optimized for keywords and phrases relative to your business which are popular at the time of construction. Why would I want to re-optimize? As was stated above, the process of SEO is a constantly changing thing. Search engines change the way they sort the search and new sites are constantly coming online which can out rank you. Add to that the fact that different search terms relating to your business come into and out of vogue for surfers constantly and you may want to have us re-optimize your site every few months. Can I pay for my site to be listed higher in search engines? Absolutely... but you cant pay us. Most search engines will allow companies to pay for placement on specific search terms or phrases. This is called pay per click or PPC placement. Basically you bid on the specific search phrase or word you want to be placed on and for each person who clicks your link you pay that amount. You are not guaranteed any new clients or income from the process but you can expect a pretty good return on the investment. We can manage that process for you for an additional $45.95 a month if you don't want to be bothered with it. What do you mean by “market research for traffic generation”? Part of it is SEO while the other is getting traffic from other sources. One of the biggest reasons to get a website for your business is to gain new clients and open up new demographics. One of the ways to do this is through online market research - finding similar sites to trade links with, getting listed on directories which cater to surfers who are looking for services you offer, etc... We do all that for you at no additional charge. The other way you can gain grater market share is to place high in search engines for popular terms, which is known as search engine optimization or SEO. We research various search engines to see what terms are the most searched for relating to your business and optimize your pages to rank highly when anyone searches for them. The only time we charge for this kind of SEO is if you want to re-optimize your site with new terms or new techniques. We will even tell you if we think that you would benefit from our re-optimizing before we charge you for it. Because keyword density is so important to get right (you dont want too much but you also dont want too little) you need to use every opportunity to add keywords without looking spammy. One great way to do that is through media on your post or page. Hopefully you have already reviewed, or are familiar with adding and editing media to your content. In addition to the normal way of adding an image, you want to follow these additional steps to ensure your image(s) are correctly optimized with the keyword you have determined for your update and that you have optimized the update for. Step one, find an image that matches your content. Simply doing a search in google images for the keyword you are using and downloading someone else's image to use isn't a great idea, although it probably wont be a big issue if you decide to (we just didn't tell you to do it). The better idea is to find a royalty free stock photography supplier where you can find the image you need and purchase the rights to it pretty inexpensively. We recommend 123rf.com as the smallest image size they provide, which is all you need for this kind of thing, is only about a dollar. The normal process of uploading an image to be used in the update is fine, just dont complete the process until you have finished the next step. Select a spot near the top or even multiple places for additional images if your content is long enough. Title: Edit this to have your keyphrase/word in it. Very few people will see this content, but googlebot certainly will. i.e. View of our Dallas office waiting room in our dental practice. Alt Text: This is for things that don't have sight. I say things, because googlebot and other search engine robots can't see. All they can do is gather data and a bunch of pixels don't look like a picture to a robot... they are just a bunch of pixels. So the alt tag is a great place to add another instance of keywords into your update. Just another sentence with the phrase in it rearranged just like before. This one can be seen by people, but not as obviously as the caption. Now, insert the image just like you would normally. What is the client control panel? One of the most important things you can do for your online marketing efforts is to update your website on an ongoing basis. Search engines place a premium on updates and how often new content is added. To make this process easy, we typically integrate your website with a content management system or CMS. Our customized CMS is designed so that you can update it easily and without any "geek knowledge" of code or the like. It is set up so that all you have to do is type. Everything else; such as navigation links, design elements, and other minutiae are done for you... automatically. There are several tutorials on how to add content to your website in the CMS tutorials section of our FAQ page. Sometimes though, there are changes that need to be made to your website that will take more than just typing. When that is the case, we are always there to make those updates for you. We never want you to be left out in the cold and scary world of the geeks. The good news is that with our CMS we can usually make changes and add new functionality without ever charging you an additional fee. It depends on the level of the addition though, so take a look at our Idea Center to see some of the options and which would be an additional fee. How quickly do you make the changes I request? 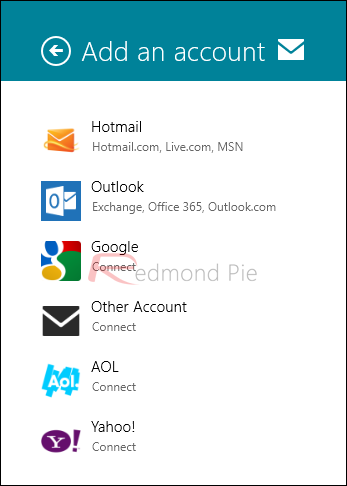 This is information on how to set up an email client such as Outlook, Thunderbird, a cell phone email app, or Apple Mail. Use this link if you would like to use a web browser based system. 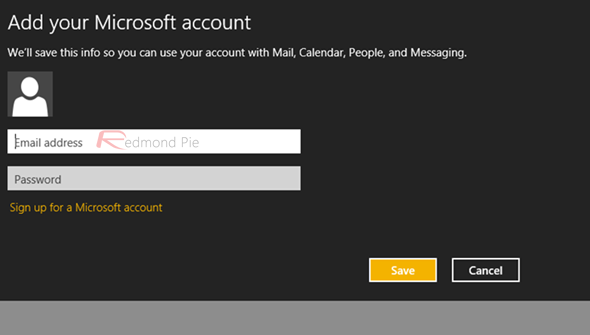 enter the user information as specified above and click "Test Account Settings"
How do I access web based E-mail? Enter your login information as shown below. 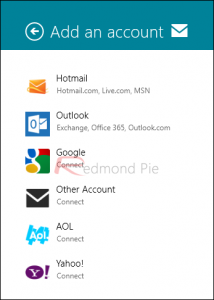 Name: type your full email address (i.e. rkinney@your-web-guys.com). Password: type whatever your password is. That's it! 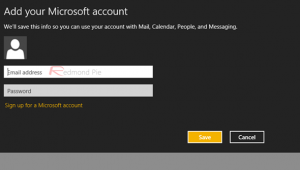 you should be able to send receive and view any emails which are still on the sever. How Do I Turn Off Compatibility Mode? Compatibility mode was introduced in IE8 and was a useful tool to correctly view a website if it was not designed with the newer standards of IE8 in mind. Without it many websites would not load correctly. However, because any site that Your-Web-Guys build for you will always be up to date using the latest standards it can actually have the opposite effect if turned on when not needed. If your website is not loading properly in Internet Explorer, but is loading correctly in Fire Fox or Chrome or other browsers, you probably have accidentally turned on the compatibility mode feature in Internet Explorer. Here are a few ways to make sure it is turned off. If your site still does not load correctly and you are sure compatibility mode is turned off then please contact support so we can take a look at the problem. NOTE: The webpage will now reload with Compatibility View turned off for it. How do I Zip Up Files? In order to work with zipped files, they must be unzipped or extracted first. Windows has a built in program called Windows Compressed Folders which can do this for you. If you have installed a zip program, such as WinZip or 7-Zip, Windows Compressed Folders may not be easily available on your computer. If you follow the instructions below for Windows Compressed Folders, but a different program opens, you can still follow the instructions listed, and it should generally still work. To zip a file, find the file in Windows Explorer (file browser). Note that in most cases, the file size will be much smaller. Some files can't be compressed much, such as .jpg pictures. Others files, such as text and database files, compress to a small fraction of the size of the uncompressed file. In order to work with zipped files, they must be unzipped or extracted first. Windows has a built in program called Windows Compressed Folders which can do this for you. If you have installed a zip program, such as WinZip* or 7-Zip*, Windows Compressed Folders may not be easily available on your computer. If you follow the instructions below for Windows Compressed Folders, but a different program opens, you can still follow the instructions listed, and it should generally still work. This tutorial assumes you can see file extensions, which unfortunately is not the default for Windows installations. To show these file extensions, see Microsoft's documentation for Vista orXP. If you don't or can't show file extensions, you can still use the file icon to determine file type. Note that the file extension is .zip for zipped file. Notice the address bar now says that you are in a folder with a .zip extension and shows a zipped file icon as well. The file inside this zipped file is shown as a normal unzipped file. In this case, it's an .mdb file or Microsoft database. Do not double-click this file to open it when inside a zipped folder. That's like trying to read a book before taking it off the shelf.This step is the step that confuses a lot of people. This appears to be a normal folder on your computer, but in fact, you are within a single zipped file. Notice that the files are now selected. 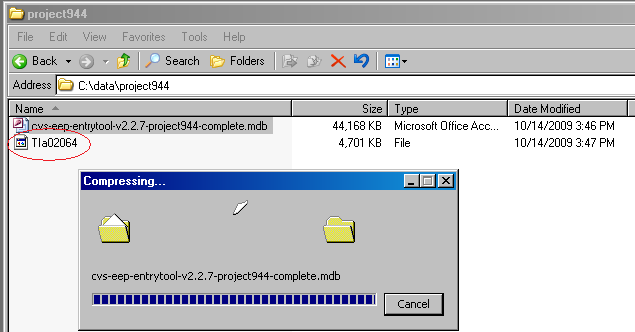 In the above screenshot, a blue background shows that a file is selected. The background for selected files could be a different color on your computer. Now, copy the file(s) by pressing Ctrl-C on your keyboard. This may take a few minutes or longer for large files. When the file has completed copying, both the .zip file and the unzipped file(s) are in the same folder. You can use the .zip file as a backup copy or delete it. You can now work with the unzipped files. In the above analogy, you have pulled book(s) off the shelf and can read them. Enjoy! When our server blocks a spam email message, it goes into a folder on the server called "Junk"
click on add in the upper left above the title "permissions for project..."
this will send an invitation to us so we can administrate your api for you. Do you do flash/swish sites? Not regularly, but we have made exceptions before. Flash and swish are just not compatible with our billing models so they are on a different price structure. However if you would like a custom quote then feel free to contact us and we will get back with you. What if the layout I want has flash buttons or a flash intro on it? Can you create the content for my website? The only person who can speak with authority on your business and products or services is you. Because of that, the short answer is no we cannot create the actual verbiage and text content for your website. However we can give you some tips and tricks which will help you get started. If all else fails we do work with several copywriters and content experts who specialize in providing crisp, clean, search engine optimized and well thought out verbiage with only a little input from you to get them started. They can get a bit pricy, but when we have had clients opt for this in the past they have felt it very much worth the extra cost. When writing content for a website there are some things that we can suggest which will make the whole process easier. Typically there are five pages which make up your average website. They are listed below, but if you have different needs they are not set in stone. Use these pages as major topics and start writing your content from that point. Services/Products - self explanatory, but dont skimp on this one, the more text the better... we will break it down into more pages if it gets too long. Location - consists of an embedded dynamic google map that will give turn by turn directions to your location from their front door. When you are speaking to someone about your product or service you have scripts that you more or less go by each time. Write them down and you have a great starting point for your web content. When it comes to websites and specifically seo content is king. A picture may be worth a thousand words to a human, but to a search engine spider a picture is just a bunch of pixels. Only a thousand words are worth a thousand words in the search engine world. If it gets too wordy we will break it down and make more pages out of your content. Although imitation is the most sincere form of flattery, we don't want to copy or plagiarize anyone (if we get a cease and desist order we will yank the content without question). However, piggy-backing off of others' ideas is not only a good way to get started, it is also a great way to improve upon what they have already started. For each of your products and services use the F.A.B. method. It stands for Feature Advantage Benefit. The feature is whatever you want to highlight for that product or service. The advantage is how that feature is not only exclusive to your company, but also how it can directly give them an advantage over their competitors. The Benefit is how it will make them money. Using this time honored approach to selling your products and services will help flesh out your general ideas of what you want to have your website exhibit. What is Responsive Web Design (or RWD)? Can you make/use my company logo? Without a doubt. A good company logo is a very important piece of the web presence puzzle. We can even digitize your existing logo at no additional charge. If you don't have a company logo we can work with you to make one. A good web presence isn't complete without branding and you cant brand your company without a good logo which can represent your company with one picture. Make sure you don't skimp on your logo. It is the single most important decision you will make when starting a small business. Why do you use templates? We actually don't, depending on your definition of "template". We use 3 party design layouts because they are fast, inexpensive, and of far better quality than anything we could come up with from scratch. Far too often we see web design firms denigrating the use of templates. They imply that template based websites are somehow inferior to their totally custom designs. They are not wrong... a template based website such as what you get from intuit or website tonight is certainly not what you want... nor is it what Your-Web-Guys do. However if they think that what we do is the same as that then they are absolutely wrong. It is very rare to find a design firm which produces a completely custom product at a price anywhere near the rates we can offer because most of the work is already done. The labor you pay is almost non-existent because of the speed with which we can have a template customized compared to how long it takes someone to make everything from scratch. Isn't it better to have a totally original site? Sure, if the two were of the same caliber design. Unfortunately it is very cost prohibitive to get an original design of the same quality and professional level of a design layout from our database. Original designs of the same quality of the layouts we use cost literally two to three thousand dollars, if not more. Why would you want to pay that amount of money when you can get a design of the same quality at a fraction of the cost. The only drawback is that a couple other companies may have similar site designs. That doesn't mean your site will be the same as anyone else's though. Quite the contrary. While working with you, our customization process will make your site totally unique and indistinguishable from the few other companies' sites which are made from the same layout. And we never use the same layout for two of our clients. Flash has been depreciated and will no longer be supported by any browsers in the near future. This has happened because of the popularity of Apple's i-devices such as the iphone and ipad. Apple and the company who makes flash, Adobe, do not get along very well and because of that Apple simply never supported flash content on their i-devices... ever. Initially this was a draw back for Apple, but has ultimately lead to new technology and scripting languages such as HTML5 and CSS3 which will ultimately replace and surpass flash in the long run. A Top Level Domain or TLD is basically what comes after the dot in a website domain name. So for Your-Web-Guys.com the TLD is .com. Initially there were basically three TLD's available for folks to register domains on. They were .com .net and .org. Dot org domains were reserved for non profits, but that is no longer the case, anyone can register a .org domain name. Indeed, because of the explosive growth of the internet, TLD's have now expanded to many others such as .info .name .mobi .me .co .biz and many more. Not sure which TLD you should register? We all hate to be tied down to a long term contract, especially when we are dealing with the realities of an ever changing business environment. That's why, when we are Your-Web-Guys you don't have to worry about any long term commitments. The agreement you make with us has no time constraints what so ever. We will be Your-Web-Guys as long as you want us to be and not a moment longer. The work we do for you is yours from day one. You can take it to just about any other host out there and have it up and running without much headache at all. Of course it will be more of a headache than it would be if we were still Your-Web-Guys, but we understand that situations change and no matter how our relationship with you ends, we will remain friendly and helpful. For a quick reference of the highlights in the agreement we put together this bullet list. You can see the specific verbiage by downloading a pdf version of our agreement here. $59.95 which is standard for every package. We don't nickel and dime you to death because we know you want a single number which will not fluctuate from month to month depending upon who knows what. Search Engine Optimization and Social Media Marketing are additional monthly fees, but they are optional and in addition to the standard $59.95 per month. Hosting, maintenance, support, updates, etc. Just about anything you need on a daily basis will be included in the monthly fee. We don't charge for bandwidth or for disk space on our servers, we have plenty of room and when we run out we will get more. Don't worry about surprise charges. The only time that monthly invoice will show something different from $59.95 is when you ask us to change it. Your username and password were entered at training, enter them here. The rest of the login instructions are the same once you have the correct url. Now that you are logged in you will see the Your-Web-Guys Dashboard. This will show you a quick snapshot of information about your website. On the left side you will see several different menu options. Each one does different things with your website, but for updating you will only need to deal with two of them most of the time. These are posts and pages. The difference between the two is that posts are chronological in nature and pages are outside of chronology and higharcal. In other words a post is going to get old at some point in the future while pages have child and grand child pages in a hierarchy which are always visible. Some good examples of posts would be promotions, events, and other news items. Pages are more like what you think of as a webpage... an about us page or contact us page - information that should always be available no matter how old it is. "is the information i am about to add time sensitive?" In other words does it ever need to go into the archives or should this update always be available to people visiting my site no matter how far in the future it is. If the answer to that question yes then your update should be a post. If not then it should be a page. Pages are outside of chronology and dictate your main navigational tabs and their hierarchy. If the update you are wanting to make is dependent upon timing then you need to be adding a post rather than a page and you should read the Adding Posts Tutorial instead. From any screen you may be working in you can click on the pages menu button on the left or hover over it for more options. When you click on the pages menu link it will bring up a list of pages that are already on your site. To edit any of the existing pages simply click on the title of the page you want to edit. For this tutorial we will be adding a new page, but to edit an existing one is pretty much the same process. To add a new page you would click an "add new" button - these are in several different places for your convenience; a specific place is on the left side menu under All Pages. When the admin page loads you have several different areas or fields that you can work with. Each one displays content on the web page that it creates on the front end in different ways. The first field is the title - name your page something simple. About Us or services etc. Keep it short because your title will be used in navigation links and your menu which is typically pretty limited on space depending on the layout you chose. The next field is the main body content of the page. Here you can add as much information as you need to build your page. You have rich text formatting options such as bold and italicize. It is similar in usage to the word processor you have used for years. You can also add images, videos, music, documents and even links to your page using the add media or add link dialogs which is explained further in the tutorial named Adding and Editing media. Lets assume you are happy with the content you have added and are ready to add it to the website. To make it live you click the blue publish/update button on the upper right. You can then click the view page button to see the results. Feel free to go back and edit as much as you need to get the desired results... you cannot break this system beyond the point that your-web-guys cant fix it so feel free to play with it and see what different things do. These are the most important fields to work with. There are many other dialog boxes or panes which we will cover in other tutorials or that may be so specific to your site we will instruct you on them individually. Posts are chronological in nature and are not included in the regular navigation menus. If the update you are wanting to make should never go into the archives then you need to be adding a page rather than a post and you should read the adding pages tutorial instead. From any screen you may be working in you can click on the posts menu button on the left or hover over it for more options. When you click on the posts menu link it will bring up a chronological list of posts that have already been published. You can also use the search form on the upper right to find the post you are needing to edit. To edit any of the existing posts simply click on the title of the post you want to edit. For this tutorial we will be adding a new post, but to edit an existing one is pretty much the same process. To add a new post you would click an “add new” button – these are in several different places for your convenience; a specific place is on the left side menu under All Posts. The first field is the title – name your post something simple. Think of it as a newspaper headline - you want to get the point across, but not be too wordy. Feel free to go back and edit as much as you need to get the desired results… you cannot break this system beyond the point that Your-Web-Guys can't fix it so feel free to play with it and see what different things do. Because posts are chronological in nature, we have to know where the most recent ones should be displayed on your website and how to archive them. This is done through categories. Categories can be free form if you are using a blog on your website or you can use them to display different posts on different pages of your website, or you can use categories to do both. Each category you have used on your website will be listed with a checkbox next to it. Simply click on the checkbox next to the category you want the post to be displayed within. A post can be displayed in one or many categories, it is up to you where you want it to show up. In the same Category panel as described above, click on the "+Add new category" link below the list of existing categories. You can add posts onto any page of your website by adding it to the category named the page name plus the word "news". For instance, to display a post on the about us page, you would create or click on the category named About Us News. You might want to do this when your company wins an award or to display a post about a personal accomplishment on an individual's bio page if you have them. You can also add posts to any page of your website by adding it to the category named the same as the page you want it to show up on. For instance, a page named Board of Directors can list past boards of directors in a post category named "Board of Directors"
You might want to do this for teams, memberships, or any other chronological item that is not exactly "news". Your blog is going to cover a wide range of topics. To make sure your visitors can easily find the posts they are interested in your blog should be categorized. You can add new categories to your blog by creating a new category as a child of the Blog category. This will make sure your posts are displayed in the main blog page as well as any specific categories you might also want your blog broken into. The promo-slider is typically the first and largest thing visitors to your website will see. That makes it the most important piece of real-estate you have. To make use of this you should use your promo slider as exactly that, a promotional area. Because promotions are, by nature, time sensitive, logically the slides should be attached to posts rather than pages or some other type of post. So to begin, we will assume you know how to add and edit a post, if you do not please read the posts tutorial first. From any screen you may be working on, hover your mouse over the posts menu item on the left then select Add New from the menu items that appear. Create a post about your promotion as you would normally. Talk about who, what, when, and where the thing you want to draw attention is about. In the upper left corner of the panel you will see a drop down menu next to a button that says "Load"
click on it and select "Promotions"
promo-image - This is the slide image itself. There are two ways to select the image to be used. You only need to use one method, not both. The instructions for the field should have the specific pixel dimensions that your website uses for the promo-slider. Make sure the image you use is at least those dimensions. If it is larger, the system will re-size it. Remember it will crop excess from the sides or top and bottom depending on if it is too wide or too tall. The choose file button allows you to upload a new image from your hard drive. When you click it a file browser dialog will open up. Select the image from your hard drive and click open. The file will be uploaded to your website and added to the media library. The media picker link allows you to select a file already in your media library. Click on it to open a list of images in your media library. You can enter a web address such as https://www.your-web-guys.com which will link the Read More text to that web address so when someone clicks on it they are taken to that web page. You can simply type the word "self" in this field to make the read more link go to the post you have created above. promo-float - how the text will be displayed on top of the slide image. Select left, right, or center to have the text aligned in that way. promo-text - the text that is displayed on top of the slide next to the Read More button if there is one. Once you are happy with the settings and content you have entered, click the blue publish button on the upper right to make both the post and the slide view-able to your visitors. From any screen you may be working on, click the Posts menu item on the left. On the left of the list of posts there is a column titled Promo Slider, a green checkmark will be next to the title of any posts that have slides associated with them. To edit any of the existing slides simply click on the title of the post next to the green checkmark to bring up the edit post page. Scroll to the Promotions panel below the main content area. Because we do not want to ever delete a post completely as search engines may be sending traffic to it, you only want to delete the slide. To do this you only need to delete the slide associated with the post, not the post itself. Simply click on the title of the post next to the green checkmark to bring up the edit post page. In the promo-image field, click the checkbox next to the thumbnail of the slide image. Click the blue update button in the upper right corner and the slide will be removed, but the post will remain. First, open your browser. Now go to www.twitter.com. Now make sure no one else is logged in on your computer. If someone else is logged into Twitter on this computer, log them out by clicking the gear icon in the upper right hand corner, and then choosing “Sign Out”. On this next page, enter your username and password. If you are the only person who uses this computer, or you have a password protected profile, you can click the box labeled “Remember me”. Since I am not the only one who uses this computer, I am not going to click this box. And the last step is to click Sign In. If you do not remember your username or password you can retrieve it by clicking on the "Forgot Password" link below the form. Remember, unless you changed the email address after we set up your page, the email on file with twitter will be socialmedia@[your domain name]. What are hashtags, and how to use them? In a nutshell, a hashtag is the pound sign on your keyboard placed directly in front of any word or phrase. What this does, is it makes this word more easily searchable. You can use hashtags in several ways. You should see in the top area that there is an empty search field. Here you can look for people, topics, and hashtags. Try searching for people talking about their lawn for example. If you are a lawn and garden business, you can repeat this search on twitter to find out trends, respond to people talking about your area of expertise, people asking questions about lawns, and people who you can follow. So try typing in #lawn. As you can see, there are many search results. From here, you can to scan these people’s messages to find new people to follow and talk to. This helps build your online community, and brings you new customers. So if you were a lawn and garden business you could offer a special to your Twitter followers. This week only, we’re offering $10 off our #lawn mowing service. Mention Twitter when you book your appointment! This is just a quick example. There are many different hashtags that are relevant to your business...including the neighborhood, city, state, and industry keywords. We recommend you do a search to familiarize yourself on how others use these hashtags!